What is my share of the harvest? 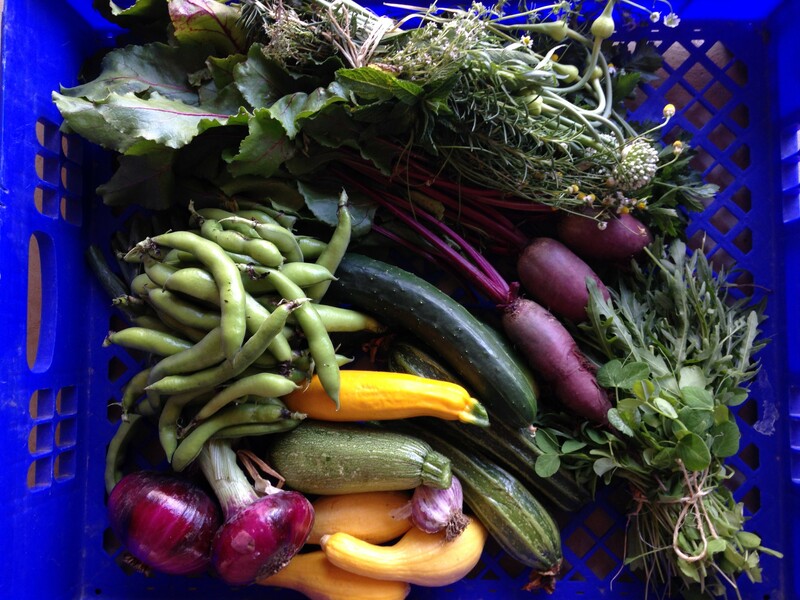 The weekly harvest share includes an assortment of at least 5-6 different items in each share. The share sizes and share variety will vary throughout the season due to growing conditions and the weather. As our previous members can tell you, each share consists of a very nice variety of produce not just a large amount of one or two items. We are accepting sign-ups NOW. Just print out and send in a Subscription form. You can also add eggs to your shares and those will be included weekly. This entry was posted in General and tagged CSA, eggs, Farm, farmer's market, free range, hens, herbs, organic, pastured, Produce, share, share box, tomatoes, Turlock, vegetables, vegetarian. Bookmark the permalink.